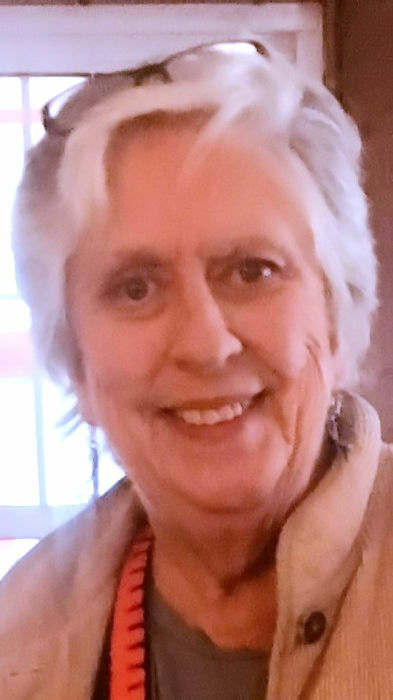 Sharon Marie Spencer passed away Monday October 8, 2018 in St. Anne Mercy Hospital at the age of 72. She was born in Toledo Nov. 20, 1945 to Joseph and Eleanore (Richard) Schon and graduated from Notre Dame Academy in 1963. Sharon married Earl “Bill” Spencer in 1970 and was a stay at home mom and dedicated parent volunteer at Blessed Sacrament School during their kids’ school years. After becoming a widow at the age of 46, Sharon returned to her secretarial career having positions at Doehler Jarvis, Rosary Cathedral, Christ the King, Owens College and ultimately retiring from the University of Toledo in 2010. She loved good conversation, cooking political shows, reading, Christmas and her dogs Seamus & Sydney. Sharon was the consummate hostess; known for her fantastic meals and deck parties, she always prided herself on having everything anyone would want. No dessert was out of the question for anyone’s birthday. Sharon was preceded in death by her parents, husband Bill; cousin Bernadine Maas; companion Jim Blanchard; and granddaughter Megan. She is survived by her daughter Betsy (Ron) Miller; son J. Michael (Julie) Spencer; granddaughter Sarah Anne; grandsons Joseph and Salvatore; honorary grandchildren David Franz-Snow & Dayna Snow – Franz; brother-in-law Daniel (Rachel) Penny; nephews Lewis (Allison) Penny and Nathan (Kara) Penny; cousins Mike (Donna) Powers, Chris (Theresa) Powers and Joe (Donna) Powers, as well as numerous other cousins also survive. Her family will receive friends at the Castillo Funeral Home 1757 Tremainsville Rd. Wednesday from 2 – 8 PM where funeral prayers will be offered Thursday at 10:30 AM followed by Funeral Mass in Most Blessed Sacrament Catholic Church at 11:00 AM with interment to follow at Ottawa Hills Memorial Park. The Rosary will be recited Wednesday at 7:30 PM in the funeral home. In lieu of flowers, her family asks for donations to be made to Notre Dame Academy, St. Francis de Sales High School or Most Blessed Sacrament Choir.